Are you in search of a fun weekend in the snow? If so, Missoula is the winter destination for you. Whether you’re looking for traditional winter activities, such as skiing, snowshoeing, snowmobiling of sledding, or whether you want to try you’re hand at something different, like a little dog sledding or ice fishing, Missoula is the place to be this snowy winter. Though there is no reason to stay inside with so much going on outside, there’s nothing wrong with that, either. Curl up in front of the fire, or get outside and explore, all when you stay at our romantic Missoula Bed and Breakfast this winter. 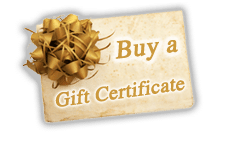 Book your winter getaway with us today! Missoula is the stuff winter dreams are made of. Powder-filled memories and a snowy white winter wonderland at your fingertips. There are nearly endless possibilities for fun winter activities to enjoy in the Missoula area. If you’re looking for traditional snow sports, like downhill skiing and snowboarding, snowshoeing, cross country skiing, ice skating, hockey, and snowmobiling, you’re in Luck. Missoula has it all! Cross country skiers will find endless miles of nordic ski trails, including the Lookout Pass Ski Trails, Pattee Canyon Recreation Area, Rattlesnake National Recreation Area, and Seeley Creek Nordic Ski Trails. 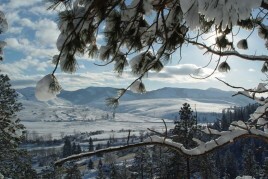 Seek out the unbeatable views of the greater Missoula Area on snowshoes at all of these same recreation areas. Downhill skiers and snowboarders can head to Missoula’s own Snowbowl, which features 2,600 vertical feet and just over 900 acres of skiable terrain. If you want more options, Discovery Ski Area, Blacktail Mountain, Lookout Pass and Lost Trail Powder Mountain are all easily reachable from your home base in hip and trendy Missoula. If you’re looking for a little more speed, try the 250 miles of groomed, connecting trails in the Lolo and Clearwater National Forest, the 230 miles of trails at Seeley Lake, or the trails in Garnet, Haugan, or the Mission Mountains. Are you feeling a little more adventurous when it comes to trying out some new winter activities? Missoula will definitely offer you some new and exciting experiences. 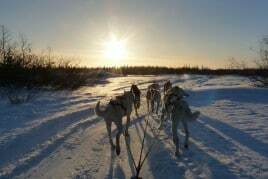 Why not try your hand at a little dog sledding? It may not be the first place you think of when you think dog sledding, but Missoula is actually home to some of the sled dog champions in the world. Experienced guides can help you explore in a safe but exciting way. If you want to do something just as different but maybe slightly slower-paced, then set up camp along one of Missoula’s lakes and enjoy a day of ice fishing. Great lakes for this are Flathead Lake, Georgetown Lake, and the Seeley Swan Valley Lakes. Be sure to check regulations ahead of time, and definitely bundle up! No matter how you choose to spend your time, we know these exciting winter activities will keep you as busy as you want to be on your winter getaway to Missoula. Book your room at our romantic Bed and Breakfast today.